« Has Microsoft figured out Beta testing? It’s not easy being green. 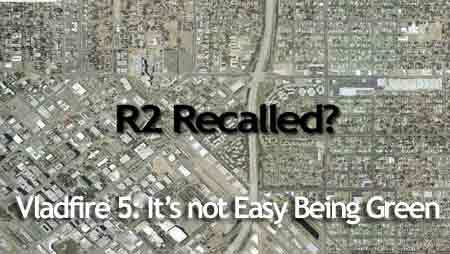 The SBS R2 project has not been on a pretty road, until today. For the first time in Microsoft’s history a product group has pulled the product back from manufacturing. They saw a flaw and decided to fix it. They pulled it back before it blew up in their face as a huge PR nightmare. No pointing fingers. No “we’ll fix it in SP1”, no "we'll patch it after new years," no "it's not that big of a big deal", no "we can't test every single piece of software," no "we already burned the DVD's, how big of a problem is this really?" talk of cover-up and denial. No excuses. Just hold tight and we’ll fix it. Amen. Hopefully other Microsoft groups learn from this humiliy and show the same care for their customers that the SBS team did. Microsoft makes phenomenally stupid mistakes. They also make remarkably good decisions. And that my friends is why they are #1. Note: from her cold, dead hands is dedicated to the SBS R2’s sole evangelist through the thick and thin. Enjoy the video. Note 2: Thanks to Tim Barrett & Associates, my PR agency, for scoring the Kermit song. Saved me a trip to BlockBuster.